Been diving in Princess Alice Bank? Please Vote! As the sun rises over Portugal’s highest peak, the wake of the speeding boat turns molten gold, shards of water glint like glass as the boat speeds towards the mid-ocean pinnacle of Princess Alice Bank. 50 nautical miles North East of the Azorean island of Pico, mobulas and a myriad of pelagic fish congregate around the seamount that ascends from the depths down to 27 metres. Wahoo patrols the shallows, while Barracuda circle in a magnificent, ever-changing vortex from the pinnacle to the waves. Atlantic bonito and Skipjack tuna speed through the mid-waters in a cloud of shimmering silver. Yet all make way for the largest animal on the mount, the Mobula. 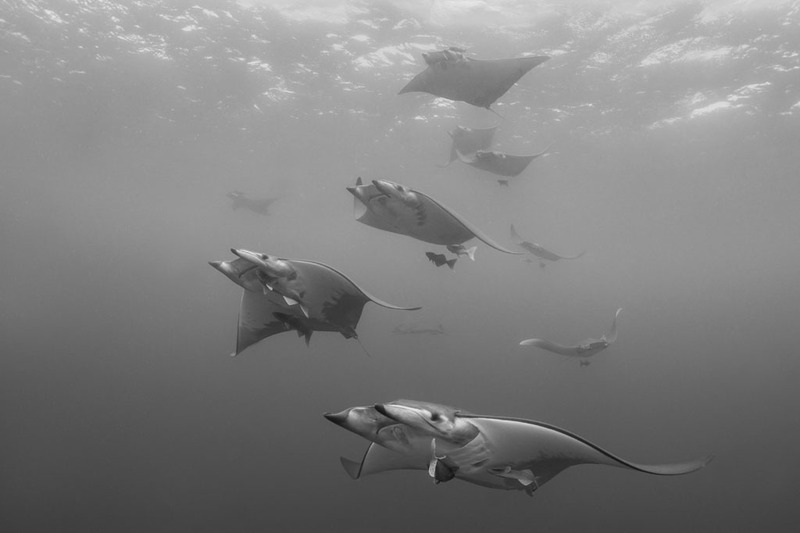 As the 3-metre Mobula rays appear as if from nowhere I freeze awe, watching their elegant dance through the canyons, gorges, and ravines of the pinnacle, and then with a change of pace ascending within inches of each and every diver. The Author: Chris Vyvyan Robinson is an underwater photographer and divemaster based in the Azores. 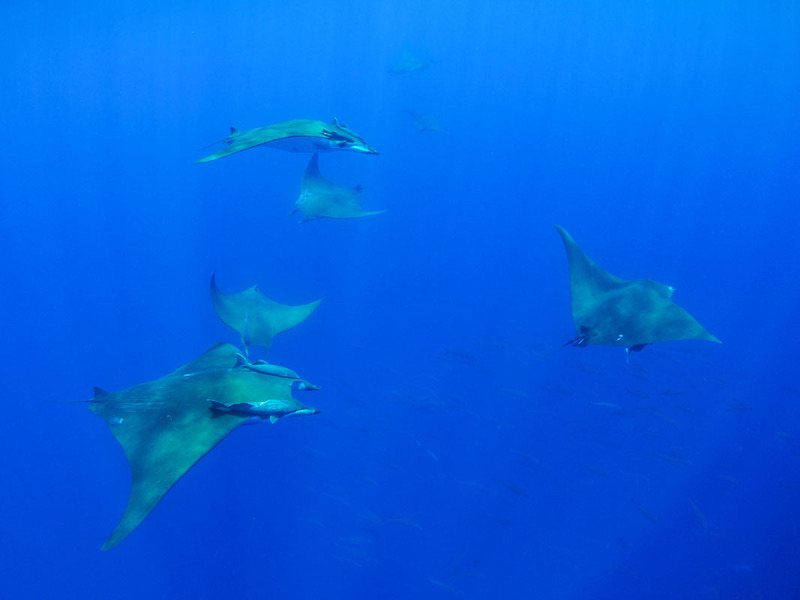 A remote and most rewarding dive site, with mobula rays and numerous pelagics. Map of Azores, Princess Alice Bank dive site.